We would also like to remind our customers that NBE is free to download and use for up to 12 ports. If you need more capacity, you need to purchase a software license. All you need to get started is a Sangoma compatible card. Not sure which cards are compatible? Please Contact Us for more information. 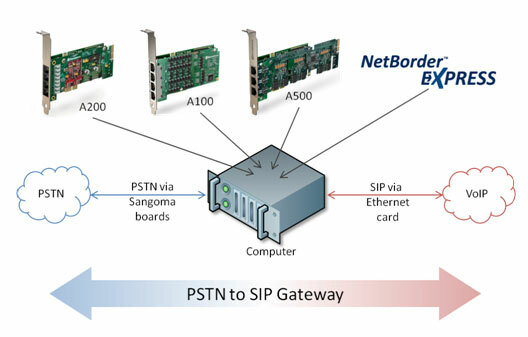 NetBorder Express software, together with Sangoma’s computer telephony boards, is a complete SIP-compliant VoIP Media Gateway solution, delivering the most flexible and cost effective solution by removing the need for external gateways. Compatible with Analog FXO and FXS, MFC/R2, ISDN BRI and PRI telephony interfaces, NetBorder Express can scale from 2 to 480 simultaneous calls, providing excellent value and flexibility for deployments in any geography. 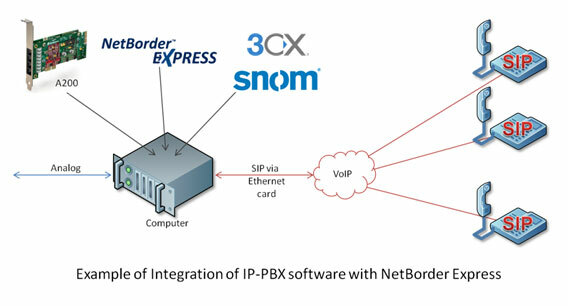 NetBorder Express communicates with applications such as IP-PBXs, speech enabled IVRs, conferencing servers, contact center or trunking gateways directly with the ubiquitous SIP control protocol to reduce deployment time, complexity and cost for next generation network application deployments. NetBorder Express software is licensed via a simple online process. You can download a free SOHO version, which is full-featured for up to 12 ports. If you need more than 12 ports, a commercial license is required. Sangoma Telephony hardware must be purchased separately. NextBeroNet is proud to Introduce their new 2 GSM Module!